The TALOtech group "Controls" consists of 3 subgroups: devices, drives, and software. Discussions, for example, that deals with tuning control loops, or data compression and retrieval from historians should be in the subgroup for "Software". Subgroups consist of Control Devices, Control Drives and Software. TALOtech "Dry-end" consists of sub-groups for topics beginning with the dryer sections (i.e. after pressing) and continue to through the end of whatever packaging and converting operations occur at the paper making site. Subgroups consist of Coaters and Coating Kitchen, Dryer Felts, Dryers, Reel, Winders and Calenders. TALOtech "Maintenance" group consists of subgroups related to all maintenance activities - contracted, internal, standards, parts management, etc. Subgroups consist of Skilled Labor and 3D Printed Additive Spares. TALOtech "Mill-wide" groups are topics related to broad application across the manufacturing site, and are not unique to an individual process function. Subgroups consist of Chemicals, Cleaners, Compressed Air Systems, Electrical Power Generation and Distribution, Environmental, Motive Equipment, Oil Systems, Power Boilers-Byproduct Fuels, Power Boilers, Screens, Steam and Condensate, and Turbines. TALOtech "Wet end" consists of topics related to the formation of the paper web, and to the mechanical removal of water that conveys the fibers. This begins at the machine silo and fan pump that delivers the slurry of fibers, water, and additives to the forming section and ends when the pressed web enters the dryer section. Several sub-groups exist and should be used for specific discussions. Subgroups consist of Crescent Formers, Web Forming, Headbox, Press Felts, Press Section, Shoe Press, and Thickeners. TALOtech "Stock prep" consists of topics within the process boundaries of pulp storage between pulp and paper making, up to the fan pump, which is connected to the "wet end" groups. 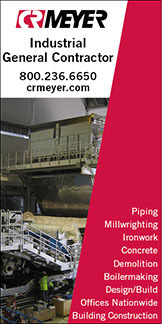 Subgroup topics include refiners, repulpers that return trim and rejected paper, additives ? ), etc. TALOtech "Recovered fiber" consists of topics related to recycled fiber supply with bales of fiber being delivered to the papermaking site, and all processing prior to the the pulp storage ahead of "stock-prep"
Talotech "Papermachine" consists of topics related to papermachine operation and maintenance. Subgroups include Paper Chemicals, General Papermaking, Showers and Scanners. Talotech "Utilities" consists of topics in the utilities area of pulp and paper facilities. Subgroups include Recovery Boiler, and Kiln and Causticizing. TALOtech "wood & pulp" includes sub-groups for various pulp manufacturing process and anything generic that might be used in multiple areas such as pulp washers, thick stock pumps, medium consistency pumps, equipment for mixing chemicals, etc. Subgroups include Chip Screens, Continuous Digesters, General Woodyard, Mechanical Pulping, Batch Digesters, Pulping Chemicals, and BSW and Bleaching. Just find the main groups and subgroups that interest you and join as many of these that you want. Topics are organized by general process area, and include technical, operations, and maintenance troubleshooting challenges. Rules: TALOtech groups and subgroups on LinkedIn are free to join, but are closed groups. We openly welcome employees of tissue, pulp & paper mills as well as engineering students and faculty in the pulp and paper industry to join the TALOtech groups and subgroups.However, pulp & paper industry suppliers must be currently advertising in Paperitalo Publications to be permitted to join our TALOtech groups and subgroups. In order to keep this forum organized, we ask that discussions stay on topic, and relatively short and direct. This will help with searching for topics and relevant discussions. Also, we will not allow discussions that slander suppliers, or discuss prices in financial terms that could be construed as collusion of free trade. For more information regarding the rules for joining our TALOtech LinkedIn groups and subgroups, please email helen.roush@taii.com.